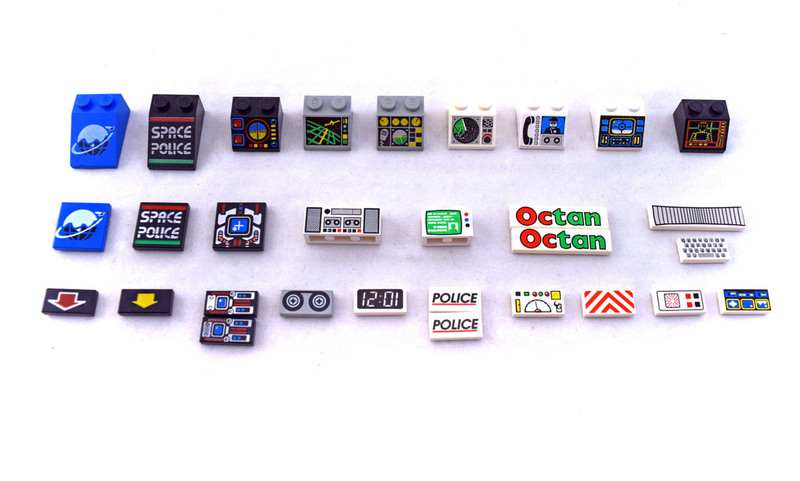 Decorated Elements (LEGO 5121-1) is a service pack released in 1994. The set includes 29 pieces of various printed pieces from space to town themes. Notably support for Ice Planet 2002, Space Police and Spyrius. Set comes with 29 pieces.